Learn how to tie a tie with easy instructions and illustrations. You can find here different instructions how to tie a tie correctly. The explantions are easy step-by-step explantions for different kinds of tieknots. Depending on the collars of the shirts different knots have to been used. Also the color needs to be selected correctly. How to tie a tie. 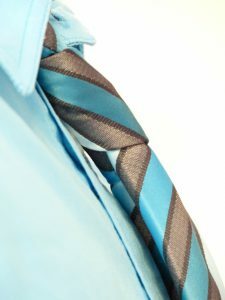 Depending on the collar of the shirt, the material and colour of the tie you can choose one way of the differen ways to tie a tie. Mathematically there are 85 ways how to tie a tie which can be calculated by the formula of how to tie a necktie.